After an emergency letter was received from Thrallmar, First Light sent out a scout group to investigate. . . It had been the thirtieth day of the third month of the Summer season that Lady Larrendias received a hastily scribbled letter. It defined that a member of her order, Priestess Isilliya, had arrived unconscious on horseback. It continued to describe that though suffering from a concussion, Isilliya had full intentions to go after a demon that had claimed her staff (and perhaps some of her dignity). Soon enough, Lady Larrendias had given set orders to investigate the situation and assist Isilliya. Faelel, Jataral, Sethera, Surtruk, and Tyliron arrived in Thrallmar on the first day of the first month of the Autumn season. There, they found a slightly distraught, grumpy, and overall unimpressed priestess who had buried herself in texts and maps to schedule a forward movement to Shadowmoon Valley. It had been in Thrallmar that this newly formed scout group discovered the full details of what happened. After having agreed to the context, the scout group prepared themselves for a journey that would take them to Shadowmoon Valley and ultimately to the edge of demonic combat. The group soon travelled to Falcon Watch. On their journey they encountered a group of fel tainted orcs which Faelel and Tyliron swiftly granted serenity through death. Everything had gone fine afterwards until the group encountered a small transportation issue. The caravan’s wheel snapped. Jataral had luckily maintained enough energy to levitate the supplies to Falcon Watch but rest was surely needed. By the time the sixth day arrived, Surtruk had made plans for the group to attend a meeting back in Tyr’s Hand through a spiritual transportation spell. The shaman took great care in making sure all preparations had been made and through the assistance of an artifact the group arrived safely in fiery forms. Unfortunately, they were forced to witness the threats and disobedience of one of the former First Light officials. Upon returning to their bodies, Isilliya deemed that Lady Larrendias needed her core combat companions due to potential risks. The scout group was no longer heading to Shadowmoon Valley and that instead they were going home. 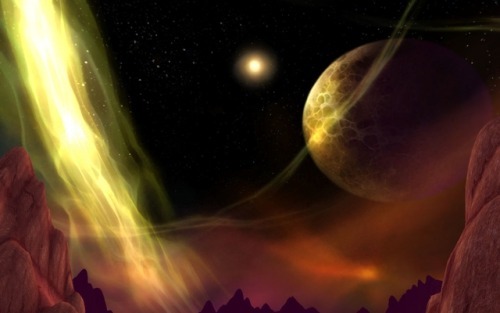 Having left on the ninth, the group arrived safely in Orgrimmar through a portal in Shattrath late that evening. They hold plans to travel from Orgrimmar to the Undercity, and from the Undercity they plan to return to Tyr’s Hand.